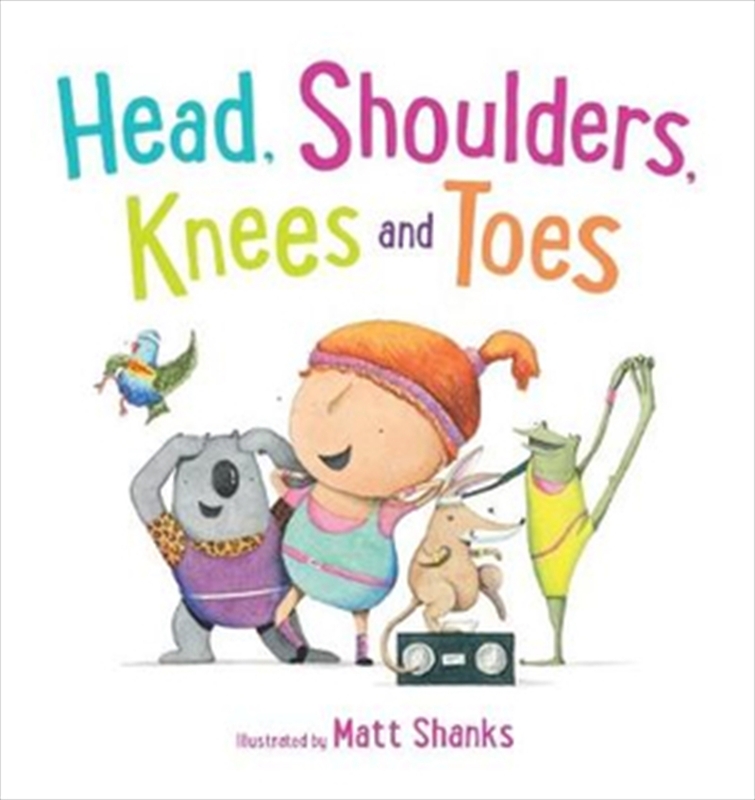 Heads and shoulders, knees and toes... and tails and scales, paws and claws! Come and get fit with the Aussie animals as they dance, run, jump and clap hands together! But look out... you never know who else might drop in on the fun too! See if you can wriggle your nose like Wombat, touch your toes with Emu, or run as fast as Bilby does in this lively and playful Australian version of the favourite song.